Trans-humanism is illegal! 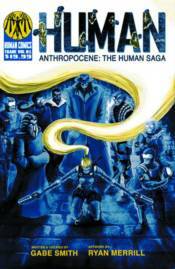 Human is a cyberpunk story that takes place on Earth in the year 2272 A.D. Future technology has enabled anatomical enhancements through bio-engineering and extreme elective surgeries: wings, gills, cerebral implants, tentacles, extra-limbs, weapons, anti-gravity technology, gene splicing, etc. A military branch, known as the Department of Human Purity (DHP), has been created to respond to fears and dangers surrounding this growing population of altered and enhanced human beings. The story revolves around Cezra, a young bounty-huntress who hunts down these anatomically amped beings as a private mercenary on the prowl.